I am coming into a new team this week, always a fascinating time. Speaking with each member of a team is a challenging process for me – trying to understand the business they are in, its drivers and its constraints, and the individuals themselves. Each business, team and individual is unique, however with teams that are struggling there is more often than not one specific and distinct commonality. The constant with them all is that aspects of the past have not been left behind where they belong but instead have inserted themselves into the team’s future. They are barriers or hurdles that need to be constantly worked around, avoided or ignored that limit what’s possible and significantly suppress performance. The aspects of the past that I am referring to are the unproductive opinions, attitudes and points of view about people and even the company itself that arise as a result of incidents and issues that have happened. The kinds of difficulties that any business encounters are many and varied, from resource shortages to market changes and simple judgement errors, however people’s relationship to those difficulties will either allow them to learn and move on or leave them doomed to repeat the past. 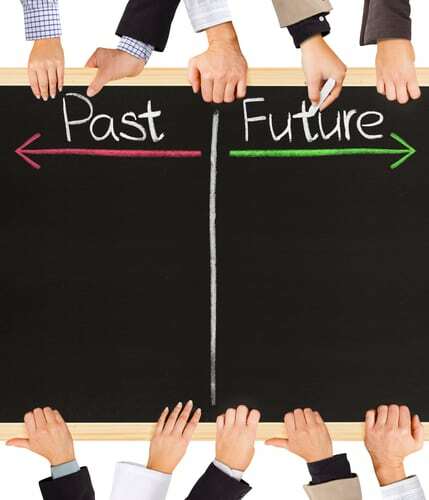 Our job is to help teams identify the ways in which their individual and collective pasts are limiting their and the business’s future and to develop their ability to put that ‘stuff’ back into the past where it belongs and open up the future.